Like all countries ruled by totalitarian regimes, life in Eritrea revolves around the interest of the ruling party which monopolizes the national resources and equates the fate of the nation to its fate. Worse, the beleaguered Eritreans have no voice save for those in exile. Sports, national Radio, television, theaters, drama and music production are all run like regiments by security officers. The slogan of the regime’s major website is, “Serving The Truth.” And some of its otherwise well educated supporters who are exposed to democracies, believe that fanatically. They are convinced the ruling party (PFDJ) is the only reference about truth an its embodiment. The world is generally aware the PFDJ is a repressive regime, but not aware to what extent. Nothing happens in Eritrea except when the PFDJ wills it. The regime supporters believe Eritrea without the PFDJ will be a barren land. They even credit the ruling party for good rains, and by implication, for good harvests. 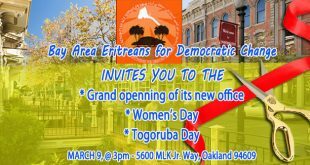 They believe every positive result is attained because of the wise PFDJ’s leadership. If an entrepreneur constructs an office building–it is credited to the party. The traditional work ethics of Eritreans, their historical resilience, and their perseverance are all credited to the PFDJ. However, not the Eritrean trepidation and failures… and the embarrassment of the country’s citizens caused by the inept regime of Isaias Afwerki. These, they believe, are the making of the sellouts, the Ethiopian spies, the CIA lackeys–and that covers a big chunk of Eritreans. Can we actually call Eritrea and independent nation if that many of its citizens are lackeys, spies, and sellouts? In recent years, Eritrea has made it to the headlines mainly on two categories of news: its overflowing number of refugees leaving the country and its defecting athletes. On the refugee embarrassment, the government always blames foreign powers “bent on seeing Eritrea drop to its knees”; that is also true in sports, though it likes to take credit for all Eritrean successes, cycling for instance: But it never mentions the defections of players who choose to abscond once they are out of Eritrea. In the early years after the Ethiopia-Eritrean border war stopped, it was the journalists and media people who were leaving the country in droves. Eritrean athletes and journalists still live in a vicious cycle of the indefinite national service, and work for the government owned media, the only game in town, and wait for a chance to find themselves outside Eritrea to defect. For many years Alamain Siraj, a veteran of the armed struggle, was in charge of the sports commission until he was replaced by Major General Ramadan Osman Awliyay. The commission runs its units like a military outfit: athletics, football, and cycling federations. They were managed by military personnel ranging in titles from Major General, to Brigadier General , to Colonels. In April 2005, the late Solomon Aberra, the director of the state-owned Radio Zara, escaped from Paris where he was accompanying an Eritrean sports delegation and his defection received wide coverage. He told awate.com that the passports of the delegation members are held by a custodian among the minders who travel along and that is the only thing holding Eritreans from defection. He also mentioned that athletes were required to post a 100,000 Nakfa deposit to make sure they returned to Eritrea, which applied to all athletes, including those who return home to a “hero’s welcome.” Solomon had secured his passport on the pretext that he needed it for a press credentialing in France. He immediately sought asylum in Germany where he stayed until his sudden death in 2011. By the time Solomon defected, the Eritrean press has been thinned out due to defections and arrests that started in September 18, 2001. 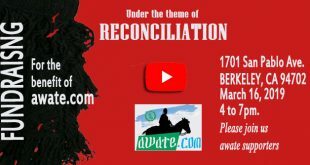 Berhane Tewelde, Aron Berhane, Simret, Aziz, Dawit Gebreab, Milkias Mehretab and Semere Ta’ezaz, had already escaped, and Fessehaye “Joshua” Yohannes, Yousef Mohammed Ali, Medhanie Haile, Dawit Habtemichael, Amanuel Asrat, Dawit Isaac, Temesghen Ghebreyesus, Mathewos Habteab, HamedMohammed Said, Saidia Mohammed, Saleh Aljezaeeri, Zemenfes Haile, Ghebrehiwet Keleta, Selamyinghes Beyene, Said Abdelkader and Seyoum Tsehaye, and others were arrested. Isaias Afwerki has ignored all the damage he has caused to the nation and moved on more recklessly. In a dinner reception held in honor of the coaches and athletes in December 2006, Isaias Afwerki awarded them incentive money, “for the victories [they] registered in Zambia and Kenya.” That didn’t prevent defection and embarrassments in African countries. Shortly before his death in October 3, 2009, Minister Saleh Mekki was relieved from his position (Minister of Health) and appointed Minister of Fisheries. In addition to his new ministerial responsibility, he was training his successor Ms. Amna Nurhussein, in the Ministry of Health, as well as overseeing the sports commission, of which Maj. General Ramadan Osman Awliyay was no longer the commissioner. Two years later, in December 2011, Isaias again awarded Eritrean cyclists monetary rewards for their performance in the African cycling competition. But athletes kept leaving the country. 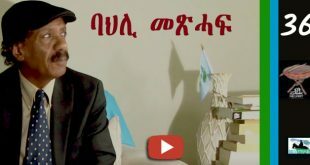 A few months ago, a government media mentioned the name of Zemede Tekle Woldetatios , the ex-PFDJ ambassador to Italy, with a new title of “Commissioner of sports.” That meant Zemede Weldetatios has occupied the former position of Maj. General Ramadan Awliyay who became the administrator of the Central Zone. At about the same time, Eritreans casually discovered that Pietros Fesshazion became the Eritrean ambassador to Italy. And if you are wondering why casually, that is how information reaches Eritreans, a casual mention of names and titles in the government media because the ruling party doesn’t announce appointments and transfers of “public servants” in a formal manner. Zemede Weldetatios, who graduated in the eighties from a Soviet Union university, was introduced to the Eritrean public in a 1991 in a video recording of the Bologna festival. As some EPLF leaders entered the arena, Zemede introduced them in a very excited way: “Look! These are our heroes! These are…!” The excessive praise of the leaders was not well received, particularly by the egalitarian cultured veteran combatants who believed the role of the leaders was not different from the roles of the unknown combatant. At any rate, Zemede stole the limelight of the 1991 Bologna festival. To this day, veterans of the armed struggle era remember him as the man who embarrassingly praised the leaders. 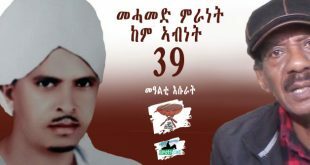 In September, 2001, some of the leaders that Zemede excitedly ushered into the Bologna arena in 1991 as heroes were imprisoned by Isaias Afwerki, their colleague for many years. Zemede and others looked the other way and remained silent. Ironically, Ambassador Antonio Bandini, Italy’s, as well as EU’s, Ambassador to Eritrea, lodged an official protest with the Eritrean government following the arrest of the 11 former members of Eritrea’s ruling party (G15), the indefinite closure of the country’s independent press, and the arrest of independent journalists. On September 28, 2001, Ambassador Bandini was given a 72-hour deadline to leave Eritrea. On September 29, 2001, Dr. Tesfai Girmatsion, Eritrea’s ambassador to the EU, submitted his resignation and defected. So did Ambassador Hibret Berhe, Ambassador Adhanon Gebremariam and Ambassador Haile Menkerios, Eritrea’s ambassadors to Scandinavia, the UN, and Nigeria, respectively, who abandoned the Isaias regime. Two years later, in August 2003, Ambassador Andemichael Kahsay who was recalled from his ambassadorial position in Italy and was frozen, died mysteriously in Asmara, allegedly after falling down a flight of stairs. Later on, as the Eritrean and Italian government reconciled their differences, Italy sent a new ambassador to Asmara, while the Eritrean ruling party appointed Zemede Tekle as its ambassador to Italy where he remained a loyal servant of the Eritrean tyrant. 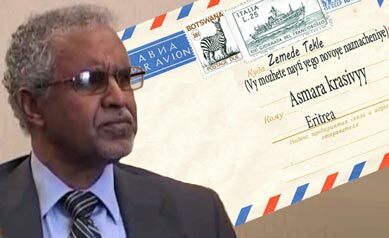 In 2013, the unfortunate Zemede Tekle was put in an awkward position when he had to defend the Isaias Afwerki regime in connection with the Lampedusa Tragedy where close to 400 Eritreans drowned when the boat that was taking them to the Italian shores capsized. There is no doubt Zemede knows his government’s repression has caused the refugees to flee their country, but like all loyal servants of the repressive regime, he couldn’t say it let alone take a position over the tragedy. But regardless, Isaias was not pleased with Zemede’s performance in handling the Lampedusa embarrassment as if Zemede had the ability to whitewash Isaias’ crimes against Eritreans. Isaias Afwerki pulled Zemede back from Rome and appointed him the commissioner of Sports, but he is still unlucky; last week, ten Eritrean athletes have absconded in Botswana under his watch and he will be blamed for it though the reason for the absconding of the athletes is not an administrative failure but a bad government that is bent on pushing the population out so that it can lord over its rubble alone. The latest defection has proved that changing commissioners will not solve the problem and Zemede or anyone else cannot fare any better than Maj. General Ramadan. However, if Isaias remains true to his usual manners, he might look for another commissioner for a scapegoat. That is why all ambassadors and officials publicize their attempts to resolve such crisis to ward off any accountability that they didn’t do anything to ameliorate the situation. And that is why Ambassador Saleh Omer hastily left his residence in South Africa and rushed to Gaborone to lobby the Botswanian government to expel the athletes back to Eritrea. He failed. Since last September, two major events happened in Eritrea: first, on September 14, Molla Asghedom, the leader of the TPDM, the Ethiopian opposition leader that is stationed in Eritrea, broke through the Eritrean border security lines with hundreds of his forces and escaped to Ethiopia through Sudan; and second, last week ten Eritrean athletes absconded in Botswana. Isaias Afwerki, was not seen in public for a few months with the exception of a brief government-media report on his September 18 meeting of an Indian envoy. At long last, today he appeared on television. If he doesn’t go into hiding again, he might make cosmetic change within the sports commission in which the complacent Zemede might be one of his targets. 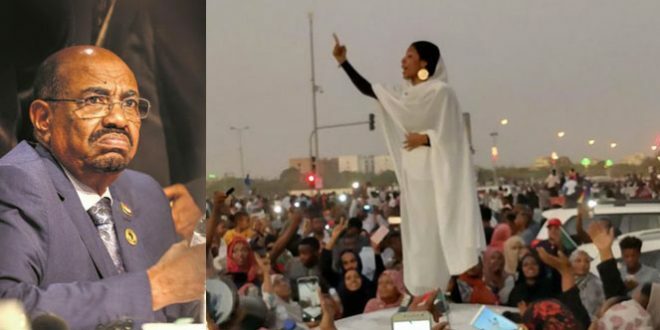 But to find a lasting solution for most of Eritrean problems, so that Eritreans can breath a sigh of relief, Isaias needs to remove his partners in crime, and then fire himself. When you start or somehow get involved in any discussion or argument, you have to try to convince or be convinced or you can withdraw from the discussion. You don’t go ballistic because others have different ideas or opinions to yours. Most of all you don’t call name especially when you are hiding behind a nick/pen name. All I said was that you are wrong in the claims you have made. You have not mentioned any thing the now ‘president’ of colleges has achieved so far except that he is down to earth or drinks tea with you etc. You just started lashing out. What could you possible hope to gain from being rude and aggressive? You know what? I try to refrain from calling people names as much as I can. But I think many in this forum will agree with me on the following 2 points. 1. From what you have said and the way you said them, you have no moral high ground what so ever to be a judge of character especially both of woldeab and tadesse. You are in no position to assign any adjectives to both. 2. you are an embodiment of mediocrity my dear! If you have any trace of honesty you should go back and read my first reply to tes to see how the disagreement started. You are shifting issues continuously because you lack a logical training. Your main problem is jealousy. You do not want a local chap, decent and humble Tadesse rising to a higher position than youself. Could you have been better at the job? Here is a riddle (may be not) I will ask you to solve: A staff member at UoA is assigned by Woldeab to be sent on a scholarship to Sweden. But this staff member finds an alternative scholarship at a University in the USA and prefers to go there. However the UoA authorities refuse to show flexibility and cooperate. What should this staff member do? Would you recommend to this staff member to escape the country, crossing borders via Ethiopia, to go to the USA? If the staff member chooses to go to the USA along the route I mentioned, is he to be blamed? Is Woldeab at fault for imposing a rigid directive, initially? Exactly! That is what I am talking about you are talking about someone dear to me. But that did not cloud my judgment. I said Woldeab made bad decision that hurt people. Some People have been pulled back from realizing their dreams. This is one of them. By the way, there is more to that case than you have narrated. It was worse. I just went through the outline of the case rather than the details I heard. There were many cases of botched scholarships and abandoned programs due to negligence and incompetence. At one time, he forgot University work, instead fiddling around various ministries while he was involved the government program of ‘streamlining’ the Civil Service (called mitsltsal). To say Woldeab made a bad decision is an understatement; he was grossly incompetent. The University under Woldeab had no rules, it was like the Wild West. There were no rules for scholarship, promotion, dispute resolution, disciplinary action; everything was arbitrary and whim based. In particular, he refused to delegate any work to his subordinates, creating a bottleneck in every area. The circumstances of Tadesse and Woldeab are different. Woldeab had a lot of room for improvisation while Tadesse is stuck during a bad time working under military diktat. I am not in the business of defending the current state of the Colleges/University, because I have been away for a while and I lack first hand information. Initially, I started by challenging the belittling of Tadesse as a person and exaggerated claims made in painting Woldeab as brilliant man. Tadesse is a quiet man while Woldeab is bombastic (but acting like a chicken in front of EPLF/PFDJ officials) blowing his trumpets all the time. Tadesse is what-you-see-is-what-you-get. Woldeab is a two faced character. Do not engage with such kind of kids who haven’t human decency. It is just a waste of time. They can only pull you to their muddy politics. Rightly said. I stopped responding to him/her but MN continued calling me names. But you are right. I should know better. So you are mature and wise, while I am a kid. You may be right. Let me ask you kid’s questions. When are you liberating Eritrea and marching on Asmara? Is it the sad story of waiting for Isaias to depart from this world. Isn’t it? Who knows, after that, Philipos may be waiting to welcome you. Discussion about the state of higher education in Eritrea is of enormous importance. Considering the profound impact higher education has on development, on state and nation building and on the creation of critical, progressive and engaged intellectual culture; taking into account the immense financial investment these institutions are currently consuming; and keeping sight of the ineluctable damage that can accrue if this sector is wrongly and inefficiently managed, the issue calls for serious analysis. I hope we will exhaustively discuss the matter when Tes comes up with his promised article. But for now, as someone who has been in the system for the last fourteen years, first as a student and then as teaching assistant, let me share some of my, in the parlance of the Awate University,two cents worth humble off- the-cuff opinions and bits of facts. and other ‘useful (in fact not so useful) idiots’ like him, who actively cooperated in the militarization of higher education, between 2003/4 and 2008,have a lot to answer. 1. Growth in enrollment and graduation rates: A lot of bragging have been made about the increase in enrollment and graduation rates to institutes of higher learning (Colleges and vocational schools like ማሞስ/ ሃማሞስ… mind you the twenty something percent passing to higher education also includes students who are sent back to Sawa for certificate training). Leaving aside the tempering occasionally done on grade bench marks of the Secondary Education Leaving Examination by the Testing Center, and the intense pressure put on teachers to lower the grade scales in the Colleges, the increase in enrollment and graduation rates in relation to the Asmara University days is negligible. In the College where I used to work, for example, around 350 degree and diploma students were enrolled last year. If you do the math, the total number of students entering annually to all the colleges does not exceed 2500. 2. On the shortage of teaching staff: This is the most worrying shortcoming of the colleges. The interview does not really give the real scale of the problem. In my department for example, during the Asmara university days, there were six local and foreign PhDs of high repute and two or three young and vibrant Lecturers with Masters along with an army of GA/TAs. Last year, we were two good for nothing Indians and three improvising graduate assistants. In normal circumstances, GAs are not supposed to run classes but given the state, they are given three/four different courses to be taught to even fourth year students. The problem is the same across all over departments. In extreme cases, there are departments with only two teaching staff. The good Dr. said they are trying to fix the problem by recruiting teachers from Kenya and by strengthening the program of distance learning. I heard their shopping for teachers from Kenya in September this year was not successful ( do you know whenever they decided to recruit foreign teachers they go during September and October when class is supposed to run full swing, after sleeping through the whole three month long summer vacation! In passing, classes usually start after one month of the due date and a semester is usually squeezed into two months and half). And the distance learning and masters programmes are really laughable. In an environment where there are no descent libraries (Hey listen! descent library zelewa college yelan eye zbl zeleku) and other basic facilities (Sal, forget internet. It can only open FB and it might take you one hour or more to open your emails let alone access educational materials), it is extremely difficult to do that. Plus, people, especially those whom the program is set to serve, are not enthusiastic about it. This is a great analogue. Thanks that you are also around to give your testimony. I can predict from where you are coming from and thanks for sharing your perspectives and experiences. Expecting to hear more from you brother. It seems the topic is not easy one. it needs deep research to put how much telecom service is developing. questions to ask are like is the advancement of telecom the sign of nation’s development in all sectors? what for one government uses telecom most, is that for it’s security system for example? how quality is the usage of telecom in the nation? We all know how much Telecoms thrive in lawless Somalia in the past . Somalia was one of the advancing nation even during civil war in this field , in fact all the war lords were not touching telecom structures as they have a common interest on it..Lol. event though some time thieves use to take the telecom wires and copper wires, yet the groups were very much interested in keeping it safe. it use to take just three days for a landline to install and in Kenya it use to take them longer even you will have to be listed as waiting list – and that was in war years of Somalia. Telecom companies are as wiser as all other commercial companies and more. 15 years back meet the middle east and east Africa telecom manager of AT&T by chance. He visited our company and he had a meeting with our general manager. After he completed his meeting it was by chance we had 5 minutes conversation which is not connected with our job. I surprised how much deep he knows about Eritrea and he explains to me why they are not around. Telecom big companies are part of the world political movements too. anyhow here is the best link good to fallow up the developments of one nation. Thank you for the information. Unfortunately, the link you provided is an executive summary. Do you have the link for the whole report? I couldn’t find it in the website. as you said I will try to find the detailed information from reliable sources and come back to you with link . Indeed, the lawless and stateless Somalia was way better than other “stable” states in the Horn of Africa, when it came to communications and internet technology. As far as the control freak Isayas is concerned, keeping the people in the dark in all aspects of development is his strategy for staying in power at any cost. In his Eritrea, a group of youth socializing together are seen as a risk for his regime. His security agents would come and order the youth to disperse with a stark warning. The Eritrean people are, indeed, living under a strage police-state. Let alone Eritrea, even to other countries phoning using the net (voip) is difficult. In Eritrea, don’t bother. When I mentioned wassap, I was referring to text chat not talking. I did not know the phone line was that bad….wow everything is crumbling, God help us. This is not news to most of you. Lately, there has been quite a lot of coverage on Eritrean state of affairs. In some ways it is good, in other ways, I hate it when my colleagues come to my office and tell me they heard or read something about Eritrea and it is never good. Most of them cannot locate where the country is but now they are getting a bad mental image of our country. It is very sad. I never read the WSJ. I read the NY Times. My pal jumped to my office with yesterdays WSJ, front page coverage for mass exodus and continues and takes up the entire page 10. They show the treachrous trail Eritrea – Coast of Italy on the paper but not on the webpage for some reason. I think we are reaching the boiling point, if WSJ takes this serious enough to cover it extensively. I believe they had previous coverage too. Scenario methods/tools of analysis do not give different results by modes of presentation. Nor changing a number (say: number of cars) with another number (say: computer) does not disprove the dynamics of the analysis used. Analysis One: In 1974, the number of people with driving licenses was 45,000 versus 20,000 running cars. The outcome of the analysis will show that there were only 20,000 active drivers at any time. Analysis Two: In 1976, the number of people with driving licenses was 45,000 versus 400 running cars. The outcome of the analysis will show that there were only 400 active drivers at any time. Variance: Licensed people to drive: no change; active drivers stands at negative or (-) 44,600. The question is, where did the missing cars go? Simply not driven and left to be cannibalized or harvested for parts to be used in those cars, which are said to be running by reason of gas availability or the reason can better be stated that due to gas non-availability and lack of security the numbers of the driven cars in 1976 were drastically, unbelievably and shockingly reduced by -98% or -19,600 (400 – 20,000). I also did some search on the number of telephone lines in Eritrea. In 1999, there were 11 areas with 4 digit local numbers–max capacity is 9999. I am still trying to find out what the zones are. Theoretically, in 1999 Eritrea could have a maximum of 109,989 telephone lines (landlines, not addressing satellite connections). However, I doubt if there are half that much lines in Eritrea in 2015. No doubt, people in Eritrea may be using mobile (wireless) and traditional phone lines for connections to internet. However, the connectivity capacity depends on the size of the service provided there. In both cases, be it wireless or traditional phone lines, the users cannot use their internet-connection devices when there is power (electricity) outage. Also, the available connectivity is allocated first to government usage, followed by business usage, and, if any remaining, is left for individual usage. The worst of all is that the fluctuation of power availability may make it difficult to estimate or clearly know the percentage of usage per each segment. The 370,000 users is difficult to believe, however the data deals with internet users it should not be linked to the number of landlines. I chat with my brother in Asmara using wassap, nowadays they get access via wifi from some cafeteria, Luck of electricity may reduce the period of usage, but wont reduce the number of users, especially as the trend moves to mobile based access. The 370k is based on estimated % increase multiplied by population. In Eritrea’s case both % and population are just guest estimates……worse the error in % is compounded by the fact that there was no reliable data for at least the last 13 years or so. Facebook (don’t have their stat) – I guess it uses its database for “country of residence” which will have all those who have left in the last 10 years now refugees would have opened their account in Eritrea and many not bothered to change their status. Based on the following map an undersea broadband cable EASSy has been laid and is in use, this would allow both Eritrea and by extension North of Ethiopia to have broadband access in short period of time. The distance learning option mentioned by SAAY is viable even if the 370k is totally exaggerated. You can’t estimate growth by total bandwidth usage because the delivery has been increasing exponentially. When awate was launched, the easiet was our distractors did to hinder us was simply send a 1 meg image and once you start you mail server, the system is clogged. So many hours we lost on that. Now imagine the size of files that we exchange without worrying. Besides, check you Facebook friends list and see how many of them claim Asmera S their address, and some are not even newcomers. We have the IP stats that visit awate from Asmara and the numbers are not impressive at all but the same ip logs several times. It could be many people are using it or they are downloading one page at a time and read it offline to log again. Call any list provider, tell them you want to do a Robocall and see what numbers they provide. I am guessing not more that 50000 land lines and that much SIM cards which can be considered temporary lines. If they had developed satellite connection the price of telephone calls wouldn’t be one of the highest per minute cost. It is just like Ethiopia though Ethiopia is a of 20 times the population of Eritrea. I tend to agree the 270k is an exaggeration. My last point was meant to say that in future, there is a potential to increase usage in short period of time which will allow the Distance Learning option that SAAY mentioned. At this stage, PFDJ have no interest. A better analogy might be: the distance between Asmara to Keren is 90 kilometers, and it will remain the same, no matter how many cars are in it. A road is more analogous to bandwidth: more cars (internet users), more congestion. But, if you insist on using the car/driver analogy, then you should ask SGJ to tell you about his Pakistani friends in the Middle East. Five guys would buy a car and take turns driving it. So, in that case: 1 car = 5 users. In Eritrea, we are saying the same thing, based on how “internet user”/penetration is counted by the organization I cited. Again, the important thing to me was not the 370,000 number but (a) the progression from 2000 appears to be remarkable and (b) if the system it is using is flawed, then it is flawed for all countries and within that way of measuring, Eritrea’s internet penetration seems to be better than Ethiopia, which I find suprising, kinda. Not totally surprising because Ethiopia has very unwisely decided to keep that a state monopoly (because Arbegnaw Weyane doesn’t want anybody to get very rich) and, as a result, Kenya, Nigeria and South Africa are considered African technology hubs and innovation while Ethiopia isn’t. 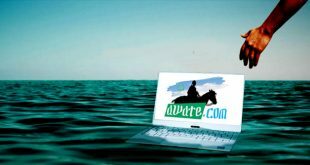 the total number of users that you are referring could mean the total number of users subscribed within Eritrea for the last 15 years. What I can guess about is about 70% of these users are now living outside Eritrea. Add to that 10% new users, the total number of users living inside Eritrea are now not more than 148,000 (60% of 370,000). Even this is too exaggerated figure. Before we can measure or forecast Internet Usage, we must first answer a basic question: Who is an Internet user? Research firms, analysts, consultancies and other sources all disagree on how to answer this seemingly simple question. The ITU subscribes to the definition of an Internet user as someone aged 2 years old and above, who went online in the past 30 days. The US Department of Commerce, in contrast, defines Internet users as those 3 years or older who ‘currently use’ the Internet. The CNNIC defines the Internet user as a Chinese citizen, aged 6 or above, who uses the Internet at least one hour per week. Other market researchers and market research organizations have their own definitions. For example, Nielsen Online in its reports presents two figures for the Internet users: the first is “Active Internet User”, which is defined as the number of users that viewed the Internet at least once during the last month, and the other figure is, of course, the total universe estimate of Internet users in a country, region, or city. (2) The person must have the basic knowledge required to use web technology. That’s it. No need to make complex something that is really quite simple. In many Third World countries one same Internet connection may be shared by many individual users. Due to this reason, Internet users generally outnumber the amount of Internet access subscribers and also outnumber the telephone lines available in each country. The Internet today offers users more options for access, for example: mobile (smartphones), tablets, G2, G3, G4 and so forth. Our definition and stats (statistics) consider ALL the ways a user or a subscriber connects. Internet World Stats numbers represent the “universe” of Internet users in any region, country or territory. These figures are useful for estimating Internet market size at a global, regional or local scale. Let me tell you this. It is quite sure that internet users in Eritrea has increased by many folds. There is no doubt about it. In major cities like Keren, Mendefera, Dekemhare, Adi-Keih, Tessenei, there are internet cafes. And many young people have access. Even I remember mothers go to internet cafe having an accompany with them and chat with their kids abroad. They do this mainly they want to see pictures of their beloved children. 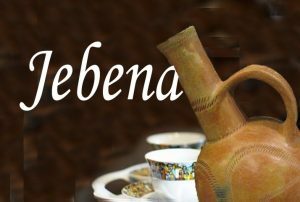 For example internet cafes in Keren have customers who come as far as Anseba including Elabered, Gheleb, Hagaz, halhal etc. My point is then, the on-going fluctuations. My point from the very beginning was with if and it will stay as such as far as we don’t have reliable statistical data. By the way, Eri-Tel is run by a private consultant Chinese enterprise, Huwei. http://wikimapia.org/19231247/Huawei-office-in-Asmara-Eritrea. There are chinese engineers China who run Eri-Tel main netwrok system though there is no official know-how about their presence. Thank you for the information, but using established definition conventions is not my issue. I didn’t see the issue from the theoretical point, but for the following. 1. 370,000 access implies, or is perceived, that the Internet connection in Eritrea is very high the regime must be doing something phenomenal in the communication department. But we know the state of communication is abysmal. 2. On hearing that there are 370,000 users, anyone would say that online education is a must, not only a possibility. But we know AOsman is having a problem texting and talking in small bytes let alone transferring educational data or browsing interactive educational websites. My objection to the 370,000 was not on anything else but on the above though I might not have spelled it out properly. Since the 370,000 reflects the universe of users–who has access and who has the knowledge to the Internet– I think we can say this is a function of Eritrea’s demography (median age = 19) and also a function of urbanization which, itself, is a function of militarization. That is to say, if everybody was raised where they grew up for the last generation, there would be Eritreans who would be living in remote villages, with no knowledge of, or access to, the Internet. With militarization comes reshuffling of people and urbanization. The other thing, of course, is that we are comparing 2015 with 2000. I mean in 2000 even people in the US were using dial-ups. Based on the focus of our investigation (drivers vs cars or users vs devices), we can have two perspectives in each case. The perspectives may not be quite different, even though we can speak of net number of drivers/users because the total number of users cannot exceed the total number of usable cars/devices at any given time. Thus, a family of 8 users with only one device can only have 1 (one) user at any given time. Consequently, the net users in a country cannot exceed the total number of devices at any given time. By taking turns; however, the 8 members of the family can become users within a period of 24 hours if time permits (depending on the speed of the internet and availability of connection). how are so angry cause Mekele university is expanding? what does it has to do with the dismantlement of Asmera University?..lool there are more than 34 Universities in ethiopia and three of them are in tigray and 11 will be constructed in the next GTP of which 1 will be in tigray. or r u saying tigray should not develop by any means? 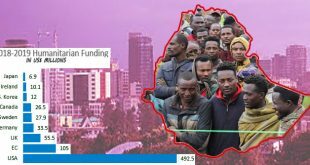 after all, this is ethiopian affairs not eritreans…we didn’t steal money from eritrean coffers to build a university in tigray…man get out of your tigray phobia…tigray ain’t going no where; in fact, the next 5 years will be the brightest of all the years so far. the railway from mekele to addis, is already 15% complete and will be finished in 3 years. the $650million dollar welkaite sugar factory along with the 4billion cubic dam which will irregate more than 50,000 hectares of sugar cane is already 50%complete. $500million mekele industrial zone and $200million Bekere agricultural zone have already started contruction. And, on the side of EFFORT the $500million Shire iron ore mining and the $350million Mekele PVC resin factory are already on the last stage to start production. and there are so many on the pipelines,….you can keep crying but tigray and ethiopia will shine more than ever…. The smoking thing is a joke. It has been long time for me to see shabait com & EPRDF (Ethiopian people’s Revolutionary Democratic Front) in one sentence. For your information PFDJ is not new either. It is 24 year old. As per criticising the article you have every right to do so I have no problem. Will you tell us that the departments were good when Ali Abdu rolled it?I hope you’ll jump of of this,I look watch Tv Ere,listen Radio Dimtzi Hafash and read Haddas Ertra and they are the ones best. I think what most people advocate is that no one (Zemede Tecle or any street criminal or even IA) should be arrested without having their day at a fair court….. In the world of dictators, no one is safe, not even those who are seemingly untouchable. It is in the nature of dictators to not trust anyone , not even their family members. The late Libyan dictator was known for his shifting loyalty among his children. Shifting loyalty is an inherent given in the overall equation dictators employ to sustain their grip on power. It is one of the commonalities in space and time that we come across among dictators . For some reason I find the the phrase “no official is safe”… I don’t know…may be inaccurate? Untrue? True? I can’t make up my mind. I guess the conflict is, on one hand it is true no one is safe in a sense that there is no law to protect anyone from the homeless all the way upto the President himself. On the other hand, it seems there is a way to be safe. It might take selling something of yours though. The yemanes, sibhat, alamin, kisha and so on have been hanging around the Capo for over 40 years, safe and sound! But that is not free of charge. And then there are those (like Bitew) refusing to sell. That doesn’t come free of charge either. So everyone – the jailed and the not jailed – is paying something. Indeed, no one is safe! No one safe, yes, except the ገባርን ሓዳግን DIA as yet. in this type of system no one is safe. not eve DIA. This type of system eats all living and none living things. but the one in better position and dump one stays a bit longer. no one among them sleeps well, always terrorized and in panic. No, DIA is not safe. People don’t make you safe, the law does. If soldiers were to arrest him tomorrow morning, there is no law that says it is against the law to arrest him. The law he discarded in order to abuse others will come to haunt him. What goes around comes around. 1 – Prof. Tadesse of the Higher Ed director in Eritrea claimed [as qouted by Haddas Eritrea] that Eritrean centers of higher learning have no distinction what soever from any other University in the world except for the naming convention used. I.e. College = University, he compared them to the US based Medical Colleges that are universities but go under the name College. – Seriously, who is the good Prof. addressing here? I mean his real audience? Can’t be Eritrean diaspora who know the real distinction between accredited and non-accredited university, can’t be the local populace for it has no means and channels to interact freely on national issues, can’t be outsiders because they will laugh him off right away. So, who is he addressing? May be the delusional dictator? Eritrea can have a university, it had a university and all it needs to do is serious planning and excution of those plans with optimal resource allocation and utilization. The Prof. could have delved on the challenges and merits of such process, but admitted defeat by saying that the colleges are identical to universities, despite claiming few years back that he was a year away from getting his colleges accreditation. I am glad you brought this up; I am of mixed mind about this because the data seems to support the case Professor Tadesse is making. Still, the challenges he poses and the solutions propose appear to be (understandably) agnostic on the current destructive policy of the government. Here’s my reasoning: feel free to poke holes in it; I also invite those with information (I am looking at you GoGo and Professor Tes) to pipe in and fill in the missing pieces. Now: 7 Colleges (attached to the University of Asmara), with multiples of enrollments spread all over the country. He claims that over the last 10 years, the tertiary system has graduated 23,000 students. That there are 55 fields of study and 43 diploma programs and that the goal is to have graduate credentials in all fields. The challenge, as he describes it, is lack of lecturers and that the solutions he proposes are: (a) foreign scholarship programme; (b) distance learning programs. (b) Because there is one and only one employer, the government, those who fail and are not eligible to go to university actually get a head-start and seniority in employment over those who go to colleges and graduate. Thus the incentive to go to college is non-existent: military service is deferred; not waived and employment opportunities are scace. (d) People talk about soccer-players leaving, journalists leaving because those occupations have a built-in fame. But the largest group of professionals who have left the country are Teachers/Lecturers. Until the government solves that problem, it will continue to chase off lecturers and hire foreigners (Indians/Phillipinos) who get paid in hard currency. (e) Similarly, the foreign scholarship will be nothing but a brain drain as few will return. (f) Lastly, the “distance learning program” solution would be very viable if the government opened up internet access. Now, I have read two completely contradictory reports on this: one says that Eritrea has the lowest penetration rates in Africa. Another, more authoritative, says that between 2000 and 2014, internet users in Eritrea jumped from 5,000 to 377,000. That is a penetration rate of 5.9% (using the overstated population 6.3 million; if you use the more likely 5 million population, that is a 7.5% penetration. For comparison, Ethiopia (oh, boy, here comes Eyob) is 1.9%. Slackers! Towards this end, the professor is saying that just like we used to have $1/day campaign during the border war, the gov is going to start a “tablet/student” campaign. Finally, as to why he is telling us all this, apropos nothing, I believe we are not the audience. I believe it is institutions like the Africa Development Bank which has lent a lot of money to the gov for educational development. It is interesting how we the citizens learn new information only when the government is rebutting arguments to international institutions. Did you read Girma Asmerom’s response to the UN, in anticipation of the Somalia Eritrea Monitoring Group report? He told us how much money the government gets from mining, from 2% and how much it spends on social services. Not because we the people are owed this information but because a UN agency is going after them. -The University of Asmara had ca. 2000 enrollments per pear before it was closed. And it was the only intitute of higher education in Eritrea. -Today, there are seven “toothless” colleges that enroll 2000 students, out of 28,000 final secondary school students. The question is what has been achieved by closing the only accredited university and opening seven non-accredited colleges, only to enroll the same number of candidates? Do you think that it is only the mother tongue policy that is to blame for the very low participation of other ethnicities in secondary, and higher education in Eritrea? After all, the mother tongue is only given in the primary education. In my opinion, there must be other socio-economic aspects to this grave disparity. There is a difference, of course, between enrollments and graduates. The University of Asmara used to report enrollment # (admissions) but to my knowledge it didn’t report graduation numbers. Maybe Ghezae Hagos and Dr. Sara can update us on it. In contrast, what Professor Taddesse reported is the graduates. Assuming a 30% fail/withdraw/dropout rate, that means the enrollment number was around 30,0000. I wouldn’t say these are “toothless” colleges at all; they are poor colleges: high student:teacher ratio, few resources. But the curriculum, as they keep saying, is exactly the one that was used at University of Asmara–and that used to have a decent reputation. to send them to Sawa to complete their high school. “Many prize-winning students tend to stop their education due to cultural and religious barriers. The absence of middle schools in Molki, Shambiko, Logo Anseba and Barka also has its role to play. The male students can rent a house in towns and go to school. Parents do not allow their female children to do same. 1st to 5th were females. A lot of the people who pooh-pooh Eritrea’s education system are products of elite colleges. But the world is full of ordinary colleges. And there has been such a positive disruption in higher education (with institutions like MIT essentially providing their entire curriculum online, for free), I consider Professor Taddesse’s proposal to solve Eritrea’s education challenges using distance education to be revolutionary AND viable IF the country fixes its bandwidth issue and its paranoia and obsession with running a closed, police state. I am rooting for the man to succeed but I fear the usual paranoid freaks will sabotage him. I think that might be historically, when churches sponsored students and ran schools (like Wengelawit in Asmara) and then had scholarships which allowed people to travel. I doubt that is the case now. There was actually a report (Africa Development Bank??) that broke down Eritrea’s literacy rate by “zoba” and it was pretty depressing, particularly, I remember, for the Afar population. Shabait has stopped it now but it used to run regular reports of how it had prevailed on a pastoral population to adopt a sedentary life. That, of course, is a contributor: it is hard to go to school when you don’t have a fixed (year-long) residence. I can tell you some generalizations for now, for the details, either I will get back or may be someone else with more facts will help us understand the reality. 1. Yes, the UOA as a well established and internationally recognized university is dismantled, and doesn’t function in its own name anymore. 2. Mainefhi college, Hamelmalo college of Agriculture, Adikeih college of arts, and Marine college in Massawa were established after the dismantling of UOA. Halhale business college existed during the late years of UOA and is now the Business college. 3. Obviously there are lot more enrollments and graduates than the UOA alone had, and more short technical courses for students who did not meet the college entrance score. Also, there are a lot more new programmes introduced. (on the contrary, law and political science which UOA offered were dropped). As to the quality of the education, I can dare to say that the is no exaggerated gap between the former UOA and this new colleges. Thanks and I look forward to your report. Not only do I agree with your 4th point, I would go a little further and say that it applies to middle school, junior high school and 12th grade as well. That’s to say, 12th grade in Sawa has a waterfall effect on the years the precede it and follow it. And here’s why. In middle school, the children must already feel that they only have a couple of years before they have to be bussed to a strange place that they heard nothing but horror stories about. This, I think, contributes to the age of exiles getting younger and younger every year. There are 9 year olds–9!–now leaving the country. The high-school-leaving exams following Sawa aren’t just testing a student’s academic prowess. They are testing those who didn’t drop out at junior high school to avoid Sawa, and from that group, they are testing those that were not psychologically impacted by alienation from their families. It becomes an endurance test of sorts. In July 2015, at the Sawa festival, President Isaias Afwerki addressed the 28th batch graduates where 60% didn’t score enough to enroll at the colleges and would, by the order of their grades, be absorbed either into vocational schools or be absorbed into the army. But it appeared that this was the first time the reality of fail rate hit him; he stammered and said that there was a typographical error that would be corrected. That is, he was bragging about an 80% fail rate and confused about a 60% fail rate. This shows that he doesn’t know what’s going on and his underlings are too terrified to tell him. You have a good point. It really looks like a succession of filters when you see it as a whole. In yesterdays discussion we forgot sawa. Of all the post UOA policies on education, the Sawa school is the most grotesque of all. By all standards, it simply fails to be an educational school. It doesnt even make sense to assess the colleges without the first makers of the youth – the elementary, the junior, and the high schools. But sawa is by my naming, an ‘Institute of dis-education’. Thanks for your reply. My comment on the enrollment numbers was based on this statement you made: “(a) the feeder schools (K-12) are broken as they culminate in a military school (Sawa) where only 2,000 out of 28,000 a year are eligible to go to post-secondary school”. As far as I know, all the students have to pass through the Sawa school before they eventually join any college. And that would mean only 2000 enrollments per year based on your statement. Regarding the participation of minorities in the school system; the issue of mother tongue policy is not mentioned in the report you cited, indicating that it is not the major factor in the disparities between the Tigringna speakers and those who do not. As it is mentioned in the report you cited; the main factors are cultural, economic, and lifestyle issues, and, of course, exacerbated by the the militarization of the society that has created a sense of insecurity within certain groups, esp. the muslim society. 1. Mother tongue language, until robust curriculum is developed (which is decades) means that this generation is condemned to inferior education which encourages high drop out rates. The anecdotal evidence for this is in the retention rates in primary education. 2. Make it past elementary and secondary education, and it is a countdown to Sawa military school: basically, 17-18 year olds, yanked from their parents, and taken to a place that doesn’t exactly have great PR. 3. Sawa military school: well, this is a school whose principal is a military man. He is more interested in indoctrinating the youth with the “correct history of Eritrea” than academic excellence. (Refer to the report Daniel Mekonnen translated and shared.) It is here where, out of 28,000, only 2,000 have college-entrance scores (2.6 GPA, I believe), with another 2,000 maybe going to trade schools, and the rest absorbed into the military. 4. Now, if you remember from the terrible news we reported last year, some people are not even waiting to see whether or not they get a passing grade to enter college BEFORE they decide to bolt and leave the country. In college, which discipline you pursue is not chosen by you but the government (I believe that was the testimony of one of the journalists.) So it is a form of compulsory service. That is, from the age of 17-18 the government owns you. 5. You graduate from college, now you are going to be working for the one employer in town: the government. You are going to be absorbed in the ministries and departments (Dear Lord: how many people can the Ministry of Tourism, for example, or the Ministry of Labor absorb for a country as small as ours?) Once there, it is likely that you will find people who failed the college-entrance exam and have a 3-4 year seniority/experience/on-the-job training over you. 6. Throughout, if you are female, or come from a pastoral background, you will have your parents tradition/culture working overtime against you. 7. Meanwhile, the siren call of globalization (the pull factor) will be whispering: come over here! You can make multiples of what you will make in Eritrea: you can work a few years in Europe, make a bundle of money, and build a house for your parents. In fact, the story of the Eritrean who was brutally murdered in Israel, follows that pattern: his friend was quoted as saying that that was his goal: save some money, go home, build a house. Thanks for eloquently summarizing the ailments of the education system in Eritrea. As usual, you’ve done it Saay-style.-) It is, definitely, a myriad of issues that are affecting the system negatively. On the mother tongue policy, I do not know whether it is being put in practice, or whether it is a mere policy issue. To put it in practice; naturally one would need the curriculum, the schools, teachers, and teaching-aids, to say the least. Regarding the curriculum, one would probably only need to translate the Tigringa version into the languages of the minorities. This job by itself is not an easy matter, as one needs qualified people who could translate the educational material, but we know that there is a lack or shortage of such a personnel, which is a direct result of the failed education system. And with the shortage or absence of qualified teachers, the mother tongue policy is doomed to fail. If the PFDJ regime is practicing the policy without providing the necessary pre-requisits, then this may lead us to conclude that it is doing so purposely, to marginalize the minorities., because one would, definitely, not be able to attend a college, without a solid background from the elementary, and higher schools. I have issue with the 370,000 internet connection in Eritrea. I don’t know how credible your reference is. But this remnds me of a man who came to Mecca for pilgrimage during the defy era and was amazed when he saw telephone apparatus on display : you just buy and take it home? He asked. They told him yes. I. Surprise he said, and we wait for three years to get one! He had no idea an apparatus needs a network connection. If we take the average household of five people 5 million population is a million households. And that means, I in three households has an Internet connection. That is impossible. Is delivered through that, what is the bandwidth available? If that is the case, I we know almost all houses have power grid connection but hardly any electricity passes through. There is another reason. I hold that Eritrea doesn’t have that much telephone connection. Technically the 7 digit telephone lines can accommodate 99999 lines if the first three digits are area codes. Just multiply 99999 by the number of area codes and you will get the maximum lines possible. Of course area codes could be 1 or 2 digits and those who know can inform us here. HaileTG should know the codes for the major towns and we can see how the 370,000 number fares. Saay said Internet users in Eritrea jumped from 5000 to 377000 in 14 years. This doesn’t necessary mean all have their own Internet access. I think this is about users. For example a single line in a library of a college or internet coffee can be used by several people. Another measurement might have used to reach such a conclusion could be counting the people with social network accounts because this claim is about users not ownership. Someone from U of Asmara registrar once told me Bilen might have more University graduated per capita than any other ethnic group…. It was true but now I don’t think so. There was a strong reason to be as such before. One: St. Joseph School from Keren was one of the best high schools with best students. Second: Keren Secondary school also had a good reputation with high number of students who used to enter university. Third: many Catholic colleges used to enroll Blin students who were among the best students in their respective schools. Now, with the failed educational system and high number of Blin fleeing from the country I don’t think the statistics is maintained. -The Historical Animosity of The PFDJ Leadership against the Blin People has played a big role! The main FACTOR is the Over all Destructive Policy along with some weird attitudes of the Clique ,as U know very well,towards that specific “Social Group” ,to borrow from Aman Hidrat’s terminology’/ dictionary! But despite a the conspiracies,evil things and kind of ” Silent Social Genocide” and the uniquely alarming Exodus of its Youth of that particular Social Group ,it has survived and in fact, it outsmarted the PFDJ Policy and that Social Group has achieved a lot in all aspects and it has maintained a high ground from Socio-Cultural point of view! Consider the case of Music and Arts! Forgive for the nagging professor who is propagating from the office of the former president of University of Asmara Professor Woldeab Yisaak. Professor Tadesse (an agreed title for the sake of promotion by the way) is sitting in the same office the president was sitting. What all he feels is that for him university = college. Second, I was about to write an article to expose the misinformation that has been diffused by the same person for the last 10 years. I will come with an article sooner. I am working on it. In the mean, I thank you for exposing this wicked professor. Hi Tes, attacking every one is your toothless habit. Because you are barking at everyone it does not mean you know jack. if there is one bright spot on PFDJ system is then it is the education system. there was one worthless Asmara University that people like you, privileged once could attend and thanks to PFDJ; now there all over Eritrea so, the little people could get the chance to attend the University. judging your rigidity and unpredictability you are not fit for modern politics. not to forget your “monumental achievement” is to improve a school cafeteria. and now, you are calling this brave professor a “wicked” i let you chow on that if you have any teeth. Welcome bro. You are not showing up. What is going on with you? Seriously, I oppose everything, everything, to repeat, EVERYTHING the PFDJ has. In fact, when I oppose PFDJ system, my number target is the Educational System. Professor Tadesse, I know him in person and I know on how he runs his office. I am very certain when I say things about him. He is number one to be criticized in the process of dismantling the University of Asmara. He was an instrumental. 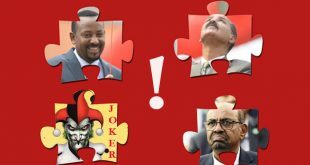 Concerning my toothless teeth, I know how to chew Nitricc let alone the rotten PFDJ juntas. Do you want Tadesse Mehari to commit suicide by challenging the PFDJ openly? Rest assured that I know Tadesse better than you do. He is a very decent fellow. The difference between Tadesse Mehari and the disgraceful Woldeab Yishak (a Jekyll and Hyde character) is similar to the difference between day and night. I agree with you on the difference between Tadesse Mehari and Woldeab Yishak albeit our criteria might be different. The later is so ambitious and man who wants to do by being everything while the former is dormant, manual reader and not eager to be everything. Woldeab Yishak, on his leadership expanded the university and had larger plans to open sister colleges throughout the country. Not only that the was a very ambitious plan that allows university graduates to be entrepreneurs once they graduate. On the other hand, Tadesse had no ambition except to teach students and dump them under the PFDJ regime and serve until they became good servants of the tyranny. How long have you known Tadesse Mehari? He has served the University of Asmara with dedication for a long time, when you were probably fetching water for your parents in the village. tes, try to be modest, you were/are only a junior staff any way. What meaningful interaction could you have had with him? You claim that Woldeab Yishak expanded the University, can you tell us when and how? “Ambitious plans for the University”? It is more like ambitious plans for self-promotion and boot licking of Tegadelti. The ambitions of such a cheap man. Knowing one person does not necessarily mean to talk with him though it has a plus. I was in the university since 2001 and in the college till 2012, almost 11 years. Within this timespan, for a close observer, it is enough to make deductions. In fact, I know Woldeab from his works. Rarely I saw him in person let alone to know him. But his ambitious plans were every where visible. Don’t go with his mess-up on UoA students case. As I have told you, his plan includes to be everything. But under Wodleab’s leadership, new colleges emerged and expanded. Bilateral agreements with international universities and sending students abroad was peak during his time. Not in dozens but in hundreds of numbers students were sent for scholarship. There was a plan to open a university preparatory college before university entrance that was planned to be built in Mendefera, an Agro-industry center for research and income generation in Gash-Barka, Dongolo for business management, Health Science, as a branch of university of Asmara, in Massawa as a research center for Marine Science, Advanced tissue Culture laboratory, etc, etc. His strategic plan of human resource development was very feasible. Had the university continued as per the plan outlined, by now Eritrea could be self reliant on her own lecturers and professors. In fact, today, many colleges are using his guidelines and curriculum development methodologies. It is because of this reason that I said, Tadesse is just reading manuals. Tadesse is decent, calm, unenergetic and very loyal and good servant of tyranny. I know who are making some progress within today’s colleges success. He has luck of making decisions. Thanks there are some who are pushing him hard to do a little if not a miracle. You said “Tadesse decent …a good servant of tyranny”. It seems that you are not aware of the contradiction in your statement. The things you try to credit Woldeab for were started by other people before him. The University of Asmara linkage program with foreign Universities was started by Andeberhan. The expansion of the University and opening of new Faculties was prepared in the UNDP sponsored 5 year master plan by Professor Kesete G/Kidan. Woldeab did not have the time for the University, his sights were on getting ministerial posts elsewhere and was busy lobbying for that. Everything he did was used as a stepping stone for self-promotion. 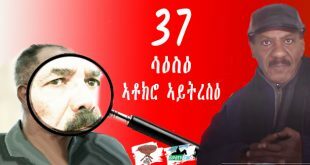 Way before you stepped into the University compound, he had already squandered millions of UNDP grant money on recruiting barely competent staff from India, rather than recruiting well qualified Eritrean staff from the USA and Europe, and by sending local staff onto ill suited scholarship programs. This was my first comment on Tadesse, “…dormant, manual reader and not eager to be everything”. if there is any contradict, go and refer what I said. His decency is not coming from his quality of leadership but as a dormant and non-harmful to others. Don’t forget that there is other type of decency. 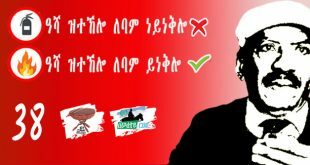 About Woldeab, aha, you want him to do everything by himself, right? When one does everything by himself (like that of DIA) it is called monopoly. From your own lines, it is not hard to see other people were involving. For example, the Tissue Culture Laboratory I mentioned was headed by Tadesse and Co. The Agro-Industry proposal was prepared by staff members from the newly established department of Agricultural Economics from college of Agriculture. A newly built Health college and now using as college of health science was also the same. As you said UNDP was collaborating. That is good. This re-enforces my assertion. On the Indian professors, in 2001, there were very few professors from India. I can agree with you why he recruited Indians while there were capable Eritreans? But the strategic plan of human resource development was targeting 2010 (if not 2005), if late I think to replace all posts by Eritreans. On the other hand, Tadesse depends with 100% on Indians until now. 2015! And yet crying for luck of lecturers. Ok, I am not ignoring PFDJ’s implications but what I am saying is Tadesse is the ideal servant for the PFDJ system of administration. +Please stop pointing at me. I have nothing but observed facts. Do not assume that I am advocating for one while belittling the other. Just refute for what I am saying. I am just asking you to be modest. I do not think, considering you rank and level of education, you are fit to criticise Tadesse Mehari. 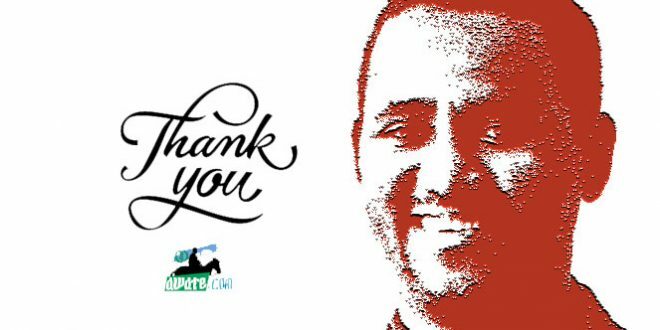 Finally, you called Tadesse “the ideal servant for the PFDJ system…”. I would like to know what you would have done if you were in his place? you ask good question “what you would have done if you were in his place?” that is a kind of inquiry. the best question how the man could had managed. But saying like “fetching water ” thing was not really respectful way of debating. in fact, the mass is poor and we are all working for the poor mass. that was the simple advice given by Amanuel, and just by pulling the world you could have solved the problem instead of adding more mistake. remember, people who went through long struggle have high respect for their people and in case you make a mistake in describing the mass, all you have to do is put yourself in their place and ask – how could I react if I was in their place – (I love putting yourself in their place and I ask pardon )- people are very important MN. You are right, “fetching water” could be construed as offensive. It could also be the case that I have fetched water myself. But the point is, Amanuel H. has this bad habit of butting in trying to moralise and sidetrack the issue. He was silent when tes was describing a decent man Tadesse in a rude way. You asked me what I could have done if I was in his position. Very good question. For sure, I could not have attained to that position. If it happened by accident, I could be kicked within a week by DIA. When I was in the college, I was number one criticizer of the administration system. In one meeting where Yemane Monkey was conducting, I criticized openly and even I went further criticizing the Ministry of Agriculture to make structural changes so that students who graduate can be effective. Therefore I could have criticized the PFDJ educational system and be kicked within a day (if I am lucky) if not I could have ended up in one of the torture centers. My point is then on the passiveness of Professor Tadesse on accepting the system proposed by PFDJ. Professor Woldeab, I think he can’t accept it. he resigned once the university was dismantled. I do not believe that you criticised Yemane or the Ministry of Agriculture. If you did you would not be here. On the other hand, if your claim is true then the system must have been fair, which is a contradiction as you have been saying that the PFDJ system is unjust. Do not think that no one criticize the PFDJ system. In fact in every meeting there is critical criticism. The problem is, they don’t listen unless you are stepping further. Criticizing PFDJ by ordinary people like me was just considered like Tea time jokes. But everything you say is recorded. When you exceed the limit, then they will let you go to the unknown. Therefore do not think people are always silent. And another cover I was using is my Cadre status. According to PFDJ, a cadre is one who speaks openly though the hidden criteria is not known to an ordinary cadre. The problem comes when you start to influence people and start to create friends. At that time, you are done. You Don ‘t need to go to ones economic background to argue issues at hand. You just make your case to disprove the opposite side of your argument. Most poor Eritreans have passed their young age fetching water and woods to meet their needs. By the way probably including prof Taddesse. When you debate don ‘t try demean people. If you do it , it just tells who you are. As usual, you are talking just for the sake of it. Dear MN, I agree with you more often than not but in this case you are the one who needs modest. You are making great statements around here but using these cheap tactics will hurt your credibility. Just a friendly advice. You are a decent chap. Thank you for your advice. But I do not accept the advice of hypocrites who were quiet when a decent man was being unfairly blamed and called names, just because he was working under the PFDJ. If you start reading from the beginning of the exchange, it is tes who was belittling Tadesse Mehari who is working hard under difficult circumstances. He was also glorifying the callous and narcissist character Woldeab, who goes out of his way to please his superiors. Tadesse is a very humble chap who you could talk to over a cup of tea or a glass of beer. Being everything includes arrogance. In fact most leaders are arrogant in certain stage of their work habits. If not they will be passive as Professor Tadesse. You are having difficult times recalling the university you have attended? What, were you 9 or 10 when you attended the toothless University? Just curios. Nitricc, I don’t have details like tes does. I was there only for one semester and half, 1993/1994. Freshman only. So I learned nothing but English in Sara Ogbays class and next her husband Chefena. Our Adage “Hisur Kem Nebsu Yehsereka” Snugly fits to you. I have nothing to cry about. But I am telling you to have a decency when you engage with people. Or you don’t know what you are talking. Do you have to tell us that “tes” was fetching water for his parents in his village? What has to do “fetching water” on the debate of meritocracy of the professor? By the way what are the expired ideas you are talking about? Can you state them here and debate on the life span of the ideas? Show us if you have something to share with. But learn how to respect people. Much ado about nothing. You need to stop crying all the time. Do you seriously think you can dislodge Isaias from power with your way of thinking? To start with, you need to have a better calibre. Can you show us your caliber if not openly even using your pen name. If you can not free yourself from fear you can not talk about liberating our people. As simple as that. Please first workout to liberate yourself to talk with us. Do you know why you are behind veils? it is because you are rude and you want to throw your tantrum at will. What is your greatest achievement in life? Do not tell me that you have joined this or that organisation, you need to show something concrete. When was the last time you were in Eritrea? I have been there, worked hard with real people, faced their day to day problems. You are using your real name because you have no prospect of going back to Eritrea. Deep down, you know you cannot dislodge Isaias by crying daily. He is way smarter than you. All the problems that he is facing are self-inflicted, you can do nothing to him. Did you write, “You are using your real name because you have no prospect of going back to Eritrea”? Haha, then you are using double standards method of fighting. Kekem kunetatu hakey do? see, you are touching all people who didn’t go to Eritrea. I went to Eritrea and I was going to lose my life. Some were awaken earlier than you and me and were sure that the group is not going to make any advancement, and you know their critique means what to PFDJ. so please, be kind to people. I don’t use my name here also PFDJ knows who I am but I never jump on people and if I do I corrected it within no time. please, help us build respect. Aha, one thing that I happy with is he is using the facts abouts me. And the fact is sourced from me. I was not only fetching water and wood during my young ages still my family depends on firewood fetched from as far as 2 hours walk. In my family history I have put it. Music Novice, Though he has no valid points to defend on the points I am raising, his sole reason is to protect Professor Tadesse. It is ok but I am not targeting Tadesse as a person but on his works and the educational system he runs. I have no qualms with anyone except the way they do things. What Music Novice is trying to tell me is that Professor Tadesse served for long time and should be criticized at all. If things are like that why then Music Nuvice is fighting against DIA and his system knowing that DIA is old enough not to be criticized. Nevertheless, as I have stopped using my Newtonian law, I won’t react Music Novice as the way he is trying to do. I don’t know these two erudite and I will not comment on them. But what I do want is to debate with decency and respect without attacking each other and focus on the subject of debate. That is all. I got your point and is well appreciated. Just I wanted to clarify things on my side. Isn’t Dr. Woldeab ordered the UoA students to report and send to WiA for punishment. As a result two students died because of extreme heat and harsh conditions. And he had nothing to say about their death, or protest the arrest and the punishment. Wouldn’t he has some responsiblity that, this happened under his watch and that he needs to answer to the parents of what happened. How can this person be praised any work he has done with regards to the Univeristy. I was in Asmara when the debate was happening, when the Univerity wanted to send the students to do work / research funded by the world bank and it didn’t want to pay them for that. Sure he may not have any choice or power to stop Isayas / PFDJ. But least of all when he is outside the country he should come clean and write / appologize what happened specially the death of two innocent students. As far as I can tell, Asmara Univeristy had never produced any better students, more than when it did when was administered during the Derg or Haile Selassie for that matter. For that any head of the University does not take any credit….I don’t know any thing that happened at U of A for the entire time the EPLF set foot in the country of exceptionally quality. If any thing the UoA had a lot of interference from the government and it lost all it’s independence and free thinking capablity the students enjoyed in previous administration. Since it was closed, any of those so called collages produce in my opinion, I don’t think one can speak of any quality. The problem I have is, why do they need to close the Univerity in the first place. Why can’t they open other collages and expand on the good name of the University? Why is this action needs to be even defended? Is there any country in the entire world goes on close it’s only univerity it has? As you said “he may not have any choice or power to stop Isayas / PFDJ.” But the issue here is Woldeab will go out of his way and to great lengths to please the authorities in order to get credit for it. For him it is a game of collecting bonus points for future advantage. Having worked at close quarters, I can with full confidence say that he will not hesitate to make a pact with the devil and sell his mother if he can get credit for his future aim. The students he shipped to Wia are nothing to him, they are a small change, a means to an end. Look at the man now, the so called very intelligent man with a research pedigrees and all that, he is just the head of a community college. The way he was described, you expect him to be in charge of MIT, Stanford, Princeton or Royal Institute of Technology (KTH) in Sweden. Knowing his pattern of behaviour, I can predict that, at the community College in the USA, he will act as the sweetest person in the world; since it does not pay to behave otherwise and he will be asked to account for his bad behaviour. If you have personal grudges towards Professor Woldeab, sorry for that. You are simply killing yourself. Healing starts from within. You see my friend, with all the experience you have and a closet to this distinguished professor all I can say you are a dump fellow. At least you could be patient when you say things. Since you are buzzed-up for nothing and sounding as a buffing chap, let me high light what the community college is all about. The Riverside Community College District, or RCCD, is the community college district serving Riverside, California, United States, and neighboring cities. It is part of the California Community Colleges System. The California Community College system is a part of the state’s three-tier public higher education system, which also includes the University of California system and California State University system. Riverside Community College District serves 1.4 million people living in Riverside County. RCCD colleges are located in the cities of Riverside, Moreno Valley, and Norco – representing key geographical and commerce points within the 450 sq. mile service area. certificate, occupational training, or simply to update their works skills. In Fall 2012, unduplicated student enrollment exceeded 32,000 and total district enrollment credit, non-credit, and community education programs topped 40,000. A diverse student body reflects the surrounding population and workforce. In 2011, 47% of tudents were Hispanic, 27% were Caucasian, 10% were African American, 8% were Asian/Pacific Islanders, and 8% were other ethnicities. contract business assistance services, and serve 6,000 community education customers each year. A page from their official website. On October 2, Riverside City College President Wolde-Ab Isaac, Ph.D., had the pleasure of meeting Ghanaian President John Dramani Mahama who delivered a speech on The African Diaspora: Possibilities and Privileges of Empowerment in this Technological Age at the University of California, Riverside. And many more can be talked about his current achievements. Dear Music Novice, aka Ermias, don’t be a ludicrous. Going to the unknown and trying to be a laughable person will only expose your disgraceful and disgruntled personality. Whether go on attacking or bouncing with anything you found in your way it will not change the reality. Professor Woldeab will remain always Professor Woldeab. As I told you repeatedly, let alone to work with him, I rarely saw him in person. I didn’t went to his office for what ever reason during my university days. It is also about the same with Professor Tadesse. The time I went to his office was when I was given an opportunity for scholarship. I went there because he must sign a paper that is necessary for our exit. The rest is just my personal observation. Of course with professor Tadesse I worked under his leadership and I know how things were pending for several years without any decisions. I know his inability to respond the needs of students and staff members. I know this because it was affecting my working environment. The rest, like any staff member, I know him on meetings and speeches he was delivering. I have no personal hate with him. Thanks I was not under his directives. Who on Earth is Ermias? How did you figure out that I am Ermias? Did you consult the voodoo priestess on how to speculate? Sorry, I could not be bothered to read the rest of what you posted. I would appreciate if you can tell us your view on the education in Eritrea. I have also the same questions like you. I hope we will get a response one day. All I can say about the student case is that, “he withdrew his responsibilitiy and allowed the PFDJ regime to act as they wanted.” Until the student crisis, the university had certain level of autonomy (this means for about 7 or 8 years). Then, with the student movement and the crisis within the PFDJ officials (G-15) things changed. What I can say is Professor Woldeab was not a good servant of PFDJ rather an ambitious person who wanted to control things on his own way. Once he saw things failing, he withdrew his presidentship and left the country. The official period for his presidency was 2006 but I remember Dr. Tadesse running activities of the university on behalf after 2003 or 2004. Rarely was he around. As Dr. Sarah hinted, there were gross decision mistakes taken by Professor Woldeab but his ambition made the expand within a short period of time. And the closing of the university of Asmara has nothing to do with his mistakes. It was DIA’s destructive policy. Waw! is what I am going to said to your claims. From what I read I can only say you have an unusual understanding of ‘decent’. That is all I can say. To do the right thing in Eritrea, you don’t only have to challenge PFDJ. Being civil, answering letters and complaints fairly, being objective in decisions that involve colleagues’ work and lives especially the young ones… are some of the things that people in leadership positions in the education system should be committed to do. So let us please think objectively and consider many others who have had (had) encounters with these two people before you make claims of ‘decency’. you are right when you say they are as different as day and night, One of them is intelligent, with high caliber (academic or otherwise), eloquent, who has made many bad decisions and consequently has hurt many. The other is has none of these qualities but clings to power at the cost of anyone or anything. I will leave you to sort out who is who. Where does decency fit here? Why is Woldeab more intelligent than Tadesse? They both have earned a Ph.D., they both started as ordinary lecturers; Woldeab wasn’t even a department head at HSIU. He had a love for attaching himself to people in power though. He married someone (his first wife) who was the daughter of a high ranking diplomat during the Emperor. During the Derg he attached himself to the colonels which was visible for all to see in Tigray during ‘Edget Behibret’. He then ran away to Sweden, later moved to Nigeria as an ordinary lecturer. He went back to Sweden claiming to do research with SIDA, all the time attaching himself to the EPLF wahio (mass organisation), then was hand picked to be UOA president due to his connections. During his entire spell at UoA, he did not just make bad decisions (what a joke!) he made a mess of his job, he was rarely at the University, as his main aim was to use it as stepping stone for a ministerial position. What special academic or administrative achievement does this man posses? Haha, you see, when people are exposed and become naked, they are no more credited. I was very careful not to attack the personality of Professor Tadesse except his works. On the other hand, you went further to attack Professor Woldeab. If you have any decency, why don’t you just protect Professor Tadesse? Do you think that what you are doing will equilibrate what I did? This is foolishness and stupidity at most. You are worthless chap. Ok, from this what we can understand is that Professor Tadesse was sent for doctorate study under the leadership of Professor Woldeab. In fact many of the current PhD holders holding academic positions were sent for higher studies during Professor Woldeab’s period. This is just to show you the truth but I feel even sorry to discuss with you. Way beyond my expectation. Worthless crap. I am done with you. Thank you for exposing yourself and giving me your golden time just to tell us who you are. I will always treat you as a comedian. And I will always treat as a worthless chap, better a crap. selam is muc better than you in fact. Thanks at least you have replaced her not because you have the same line of thinking but on the way you act. Every morning, you need to stand in front of the mirror. This will help you know yourself better. You are at the bottom of the ladder, but also the loudest. Just deal with me. Leave the good Dr. Sarah. She thought you are a good fellow and she tried to tell you the truth she knows. But you are not ok with it. The good thing about me is, I am ok with people like you. Thanks to my philosophy of accepting things as they are approach. You and Sarah are birds of a feather, your concept of logic and reasoning is the pedestrian type. Why are you blindly defending the indefensible? No one is defending anyone here. You are rather defending one and attacking the other. You said Professor Woldeab is arrogant, no one opposed you. Then you were not satisfied, you went further and started to attack him. Even no one said, you are wrong simply because you are doing it for the sake of defending one. If you were a good man, at least you could have just defended. Unfortunately you are not. Not only that you went to attack Amanuel Hidrat, then V;F, then Dr. Sarah, then… then..As for me, you can’t attack me. I have many tools to absorb your fatal and aggressive energy. It is good that you didn’t say Chicken’s feather. Birds feather helps birds to fly and hence it is worthy. Doing PhD is not a sole instrument of intelligence. There are many other things we should consider when talking about intelligence. Many including knowing when to get out when you know you are in a mess. One thing you should not question is Woldeab’s intelligence. You seem really angry at Woldeab and you have the right to be. I am. but our anger should not cloud our judgement. For some reason you also seem very protective of his successor. I don’t think your relationship is/was work related. But you should know that your relationship with him should also not cloud you judgement to a point of calling him ‘decent’. Almost all people in power in Eritrea are not decent, not even close to it. Many, including me, have had (had) to deal with his administration. So when you go about talking about decency you could be pricking someone’s feelings. That is not nice. In general a lot can be written about the UoA administration and leadership since 1991. But this forum may not be appropriate. You have not brought a shred of evidence that Woldeab is more intelligent than Tadesse. You are also shooting in the dark with wild allegations, by saying “I don’t think your relationship is/was work related.” Go on, what could it be? The problem is you would not dare and you are at a dead end. Greetings to you to Dear MN. Tes has mentioned some of the evidence of Woldeab’s contribution. . I am not shooting any allegation. I said, ‘I think…’; that is an opinion not an allegation. I don’t know you as you come to this discussion only as ‘Music Novice’ so you are the only one who know of your relationship with him. I can only guess. Finally, any reader of our comment can tell who is at a dead end. Have a good evening MN and calm down. Your opinion contains a hint of an allegation, but you would not dare say it. If you say it, I know it will fail, but my response will be even more potent. By the way, your idea of an evidence leaves a lot to be desired. I am still waiting for an evidence of Woldeab’s superior intelligence compared to Tadesse’s. Please ignore this if you are not interested, but I am kind of waiting for your promised response on ‘belligerence’….. This newsletter appears to be concise and was written in simple English. You have every right to support the PFDJ along with the dwindling number of the minority diaspora cult group which venerate the dictator with unquestioning godlike adulation but to question the coherence of this type of robustly penned intellectual property is absurd. Your iffy attitude toward the article rather exhibits the high-and-dry state of mind to which you are wishfully confined. Try not to stay unperturbed for long for the rays of hope are about to break. This article is a gist of 15 years development within the Eritrean political landscape. Those who fail to connect the trends will fail to understand the anecdotes of our predicament. Just stay around and the university will open your eye to see the darkness that has fallen upon us by the brutal regime. Just open your mind and stay tuned. Very informative. You put the latest absconding of the athletes within its natural setting giving the reader a recap of what has happened in Eritrea since 2001. VOA reported today the defection of 7 cyclists to Ethiopia. Two of the defected athletes interviewed by VOA said that they had to leave their country because they were not allowed to continue their sports career. They said that Zoba Debub, the region that sponsored them would not finance their gears, and when they complained that they could not compete with run down gears, the Region administration threatened them that they would be whisked away to the military boot camp of Maay Seraw. The country’s leakage of human resource started with dribbling, now years of disastrous policies gashed the nation and we hear the big whoosh of escapees. For the camp struggling to see the face of our country changed to a favorable look, there need to be change in the way we handle this issue. Assisting escapees could be an assistance for the fleeing but not a strategy to bringing fundamental change inside the country. Every time a group of potentially influential young people leave the country, the chance of the government to elongate its stay is secured by the amount that those youth could have affected the pressure for change. I send my heart felt condolences to the family and friends of Habtom Weldenkiel (the young man who was brutalized in Israel. Habtom should have been at home establishing life. The problem was not that he said these are our heros, this if fact, but he said this are the heroes who liberated us, after he fininshed Lingo saved face by saying these are the people how led the brave hzbasi sarawit to liberate.